We welcome gifts of tinned or dried food for our emergency food boxes. Owing to safety and storage restrictions, food must be within its recommended “sell by” or “consume by” date. The tins or packaging should not be damaged. We love donations large or small, but unfortunately limited resources means that we cannot collect donations unless they are in bulk. 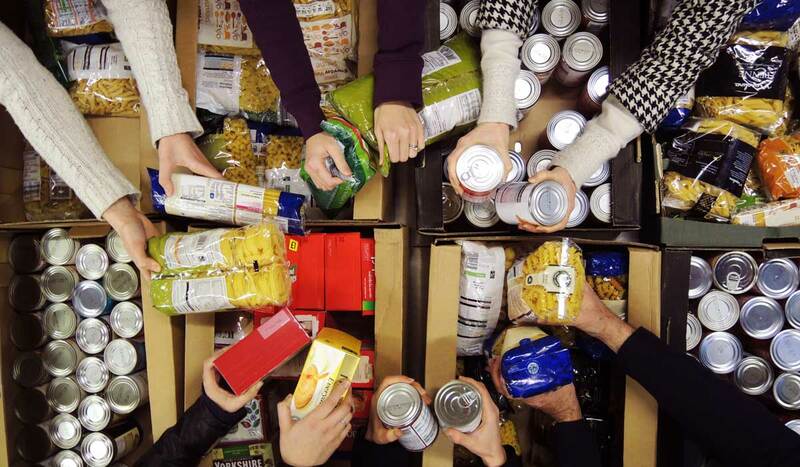 We ask people to take their food donation to their nearest Foodbank. We would like to continue to thank all our supporters who so generously continue to donate in order to help us support families in crisis. It is important that the dates on all these items are as long as possible so, although it takes an extra second or two, it really helps us if you can check the dates. If you need to find out where you can drop off your donations, please click the link below and scroll down the page for options.